The Refined Geek » Gravity Bone and Thirty Flights of Loving: Hyper-Accelerated Story Telling. Gravity Bone and Thirty Flights of Loving: Hyper-Accelerated Story Telling. It may come as a surprise to long time readers who’ve followed my near clockwork routine of one post per weekday for the past couple years that I can be rather awful at scheduling, especially under certain circumstances. This week I had genuinely intended to review Sleeping Dogs however I completely underestimated how much time would be required to blast through the main story line and thus when Tuesday night came around and I had no indication I’d be done within the next couple days I started looking for alternatives. I did grab a copy of Insanely Twisted Shadow Planet as I heard it was relatively short and well received but I didn’t manage to get enough time on that either. Thankfully my bacon was saved by an intriguing set of games that promised intense story telling that rivalled AAA titles. 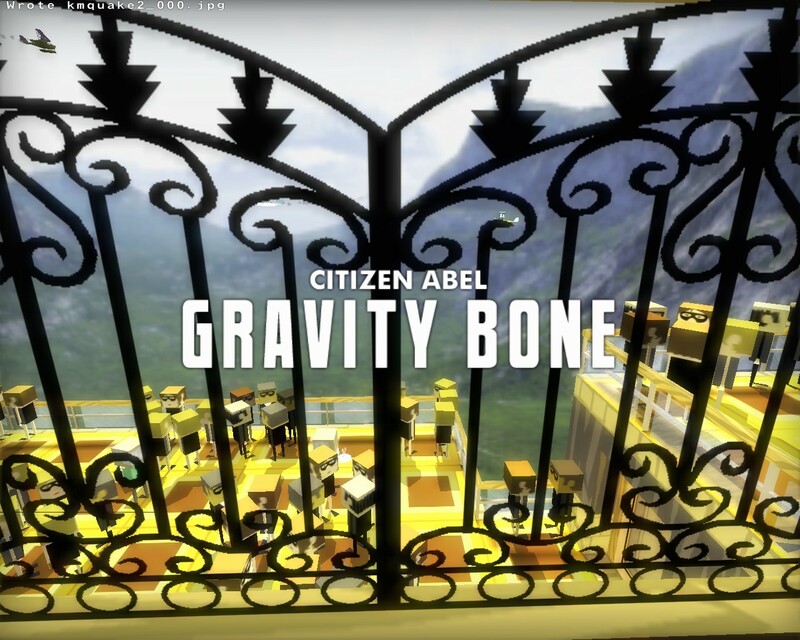 Gravity Bone puts you in Blendo Game’s Citizen Abel world, a place where everything is stripped down to its most simplistic representation. You are Citizen Abel, a spy who’s been sent to perform a mission in this particular section of the world. The first mission acts as a kind of tutorial, showing you how the game operates and setting up the main character for the second (and final) act. Usually I make comments about the graphics here, commenting either on the how advanced/dated they are or how the choice of stylization worked or didn’t work. It almost seems redundant to comment on that here as the graphics really are the bare minimum required to carry the story forward with the most advanced thing in there being a couple particle effects. It’s not bad mind you, both Gravity Bone and Thirty Flights of Loving make good use of such a simplistic format. Indeed I don’t think this kind of game would benefit from advanced graphics in any way, it would just be more distraction from the real core of the game. The actual mechanics of the game are also pretty secondary to the visual story telling aspect of these games. If I was to classify it in any particular way it’s like a traditional platformer/puzzler but instead of the story being progressed by lengthy dialogue or massive walls of text you’re instead treated to environmental clues, flash backs and weird jump cuts that allows you to piece the story together as you go along. Before I dive into the stories of these two games however I will make a note of a couple issues I had when playing. At the end of both games I inexplicably couldn’t exit them, being left with a black screen and an unresponsive game. I’m not sure if this was a quirk of the engine (it uses the Quake 2 engine) or something on my end but the first time I was willing to write it off as a quirk, the second not so much. I also had a crash when I was playing through a second time with the developer commentary on when it tried to load the second half of the game. 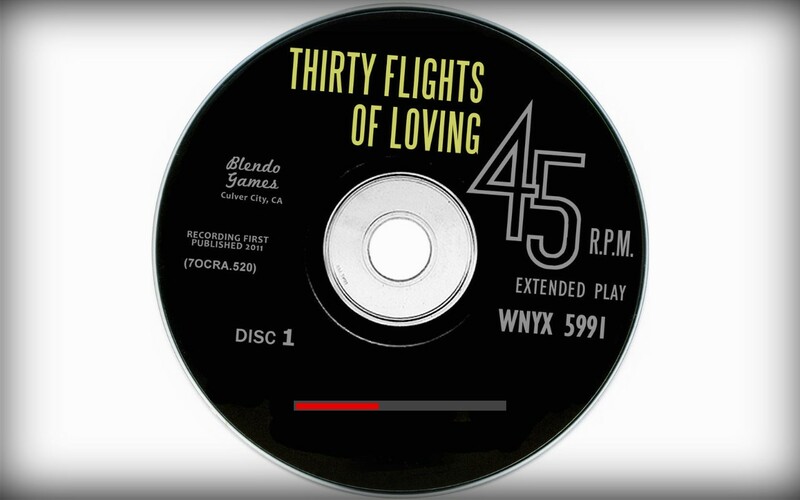 Gravity Bone and Thirty Flights of Loving’s true strength comes from its ability to tell a story in the extremely short time frame. Both of these games are incredibly short, 15 minutes each give or take, and this doesn’t leave any time for extended periods of dialogue, cut scenes or any other forms of traditional story telling. It’s quite similar to Unmechanical in that regard as all the game world is the narrator, showing you various bits and pieces allowing you to pick up on bits of the story and draw your own conclusions as to what it’s all about. Comparatively though the way in which the stories of these two games play out are very different beasts with Gravity Bone being pretty linear in its progression whilst Thirty Flights of Loving being much more of a jump cut fever dream that forces you to make connections between the disjointed scenes. 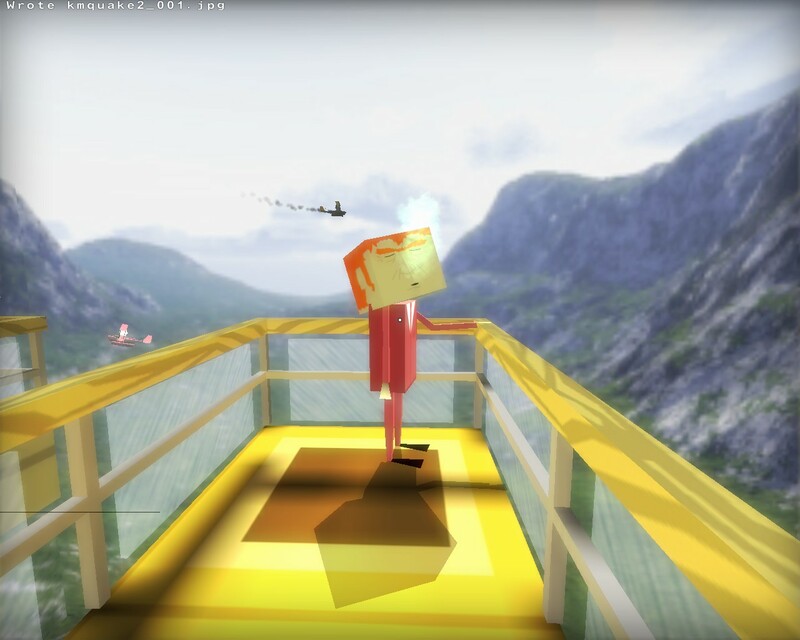 The contrast is actually quite stark when you play them back to back and shows that the developer behind Blendo games has grown considerably in the interim between releases (approximately 3 years). The enjoyment from these games comes from noticing all the subtle environmental clues and then using your imagination to draw the connecting dots. This kind of story telling isn’t for everyone, indeed the developer notes that many players will simply breeze past key sections without a second thought, but there is definitely a lot of people who like drawing their own conclusions about how the story fragments join together. I personally found it highly confusing at the beginning (as was intended, I believe) of both of the games but the utlimate conclusions are pretty damn satisfying and they wrap up the story quite well. 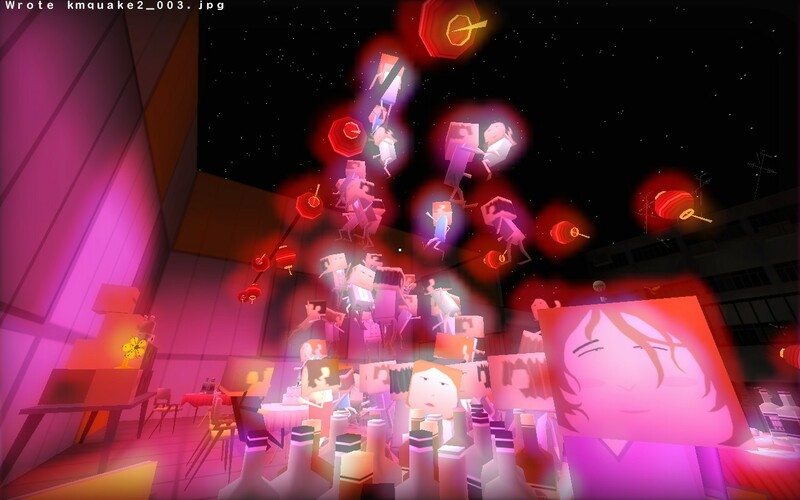 Gravity Bone and Thirty Flights of Loving then are a real oddity, even in light of the massive influx of weird and whacky games that have come out of the indie scene in recent times. I quite enjoyed them and it was great to run through the latter with the developer comments on to get a feel for how my experience of the game lined up with what the developer was trying to craft. Considering that these will only take up less than an hour of your time combined I highly recommend giving them a play through, even if you’re only doing so to say you’ve played them. Gravity Bone and Thirty Flights of Loving are available on PC right now for free (on the developer’s website) and $4.99 on steam.